This is a sponsored post written by me on behalf of SheSpeak #SensiStopStrips. 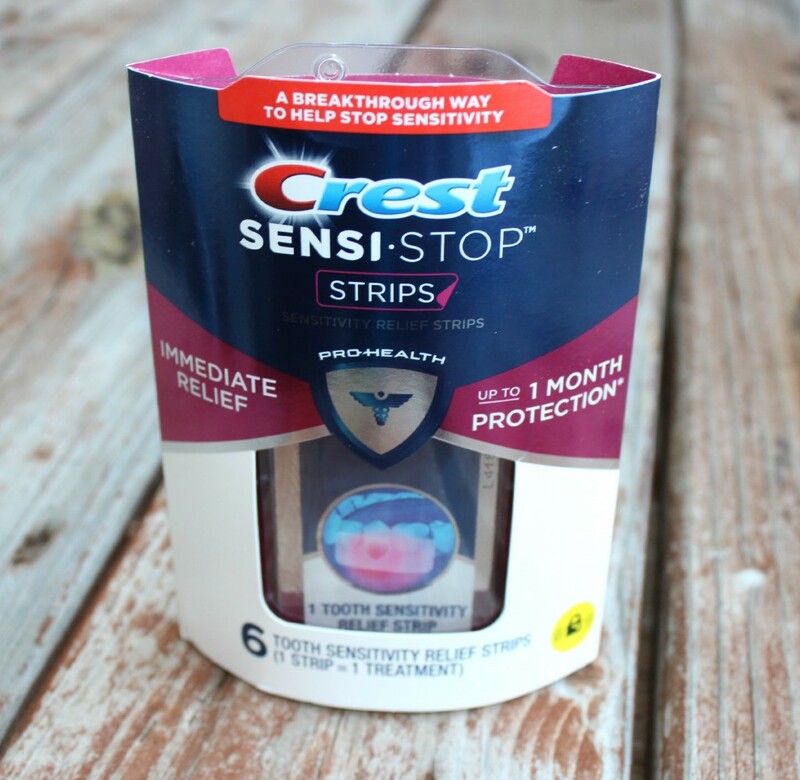 You all know I shared awhile back about the New Crest Sensi-Stop Strips on my site. Well, I wanted to do a follow-up post, to let you know how they are working for us. My husband and I both suffer from sensitive teeth from time to time. So when I got asked to try these out, I knew it would be something that would be worth trying. The strips are a nice small size, that way they go directly onto the are you are having troubles with. They only stay on for a short time, and they don’t have much taste to them. I will say they do help a bit with the tooth sensitivity I feel. I can drink cold water a lot easier than before, sometimes I would get a sharp pain, now I don’t at all, or it is every now and again. I do think they are helping for sure. Experience new Crest Sensi-Stop Strip in the oral care aisle at your local Walmart or at CrestSensi.com/Walmart. Have you had a chance to try these out?